But fear not. Even if you remember a time before e-mail, when print advertising was king and meetings were only conducted in person rather than via Facetime or Zoom, you can still stay on top of your game for today’s times. In fact, sharpening your professional skills may be only as far as a click away! LinkedIn Learning. 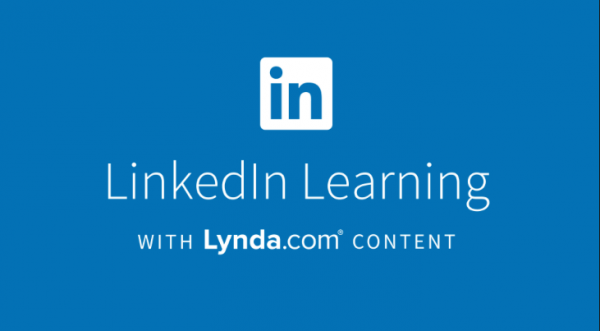 Not long ago, LinkedIn debuted an incredible online “learning library” covering almost every business skill imaginable. For a small monthly fee, you’ll have access to literally thousands of training videos on all things from using Instagram for business purposes to writing compelling marketing copy. Short on time? No worries. Many of the videos are under 5 minutes long. Of course, longer training programs are available when you want to get deeper into the topic and really master it. Don’t want to pay for the service? The online video service isn’t just for cute dog and kid videos or wanna-be musicians. Dig beneath the surface and you can find some extremely valuable tutorials from some of today’s leading business minds. Local Colleges and Universities. Many colleges and universities offer special business-focused courses for the community. Some may even allow you to audit—or attend without receiving a grade—a college class on a topic of interest. Community Education. Many local communities offer affordable continuing education programs for adults. The upside is that they’re not too expensive, the classes are generally in a central location and you can get access to some experienced business leaders who serve as instructors. Many community ed courses tend to “skim the surface” of the topic, though, so if you’re looking for a detailed program, this may not be for you. Still not finding the right training you need? Ask a trusted colleague or mentor what programs they’ve used to keep their skills sharp over the years. You may just stumble on a hidden treasure trove of training options. Ready for that next career move? Let TorchLight Hire, DC’s #1 and fastest-growing marketing, communications and PR recruiting agency, help connect you to our clients.